“Hills, hills, hills…everywhere!” These are the exact words that come out of the mouth of a cyclist or triathlete, when cycling through a cold, wet and windy winters training ride and they have just had enough. They are however, big or small, unavoidable. So, it is important that you get the best out of yourself each time that you approach one. It is important that you think ahead when approaching a hill and get into the correct gear. You don’t want to be beginning a hill at the bottom, knowing that you cannot hold the gear you are currently in, up it. Nobody likes the sound of a chain crunching across a cassette. Look at changing gear about well in advance of your climb. In longer endurance events, research the profile to make sure your gearing is adequate. In high priority events we even suggest a recce. You should look to maintain a high cadence up the hill of around 85-95rpm or more. This is much more efficient in terms of how the muscle produces energy. For triathletes, by maintaining a relatively high cadence, you can also be looking ahead to the run section, where you want to avoid fatiguing for the run. So, by keeping a higher leg speed in a higher gear, this should keep you in good stead to have a fast run of the bike. Making sure you control your effort up the climb is important. You don't want to hammer it into the climb at maximum heart rate knowing that you will probably tire up heavily towards the end part of the climb, then, hurting your performance for either the rest of your training ride or race. You should look to hold a steady heart rate/power and control your breathing throughout the climb and also look at maintaining your form. The big question for a lot of people is which technique is better. Sometime you need to stand up if the terrain is steep to power up. Using your upper body and bigger leg muscles really helps here. This isn’t the most efficient way to climb though as you use a lot of upper body muscles which requires much more energy. For the most part try to stay seated, relaxed and in control, drive with the legs and engage the core muscles. The real hurdle for many people to get over is the mental strategy going into the climb. It is all about believing that you can do it. If you believe that you are a good climber, you will climb to your full performance potential. One thing you can do is to look at focusing on small objects about 10/20 meter's ahead each time. This gives you lots of little things to think about during the climb which will help to get to the top! 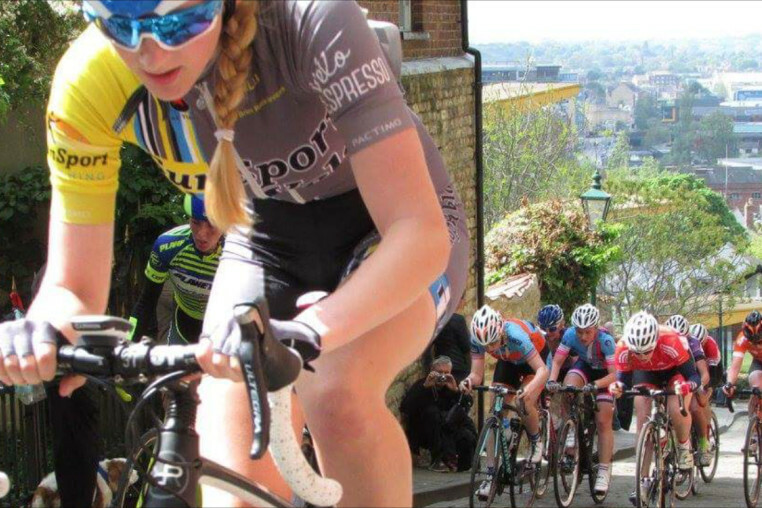 When it comes down to the hill climb, it is all about YOUR own effort. It can be seen in many top pro bike races where a rider has gone off the front on a climb with 5km to go and still manages to get caught with 200m left, purely because the rider who catches them has gone at their own perceived effort to which they feel will give them their best ride. So pace yourself, keep it controlled and enjoy the climb!